In 2016 we worked with Future Cities Catapult to develop a vision for digital planning. Fast forward two years and we’re building a data-driven system — from the ground up (pun intended). 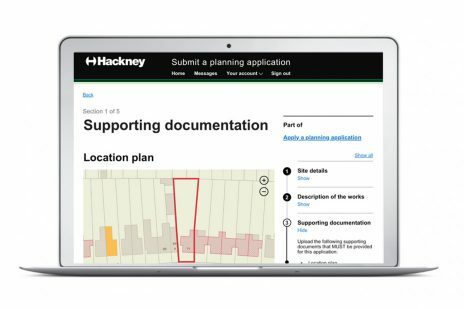 Earlier this year, Snook and Hactar were commissioned by Hackney Council to develop a digital service for planning applications. 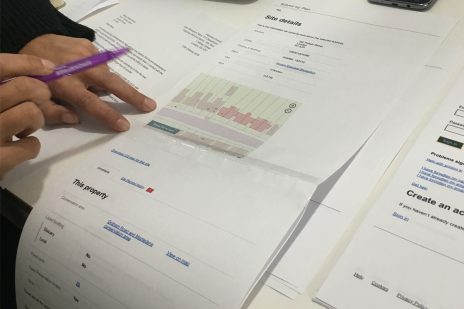 Over this period, our multi-disciplinary team has spent time researching, designing, and continually testing to reach the first prototype of a new front-end for applications for planning permission. Our ambition is to shift from being a software provider to being a data processor. This is a goal that will involve further work around open standards, however, with Submit my Plan we’re laying the groundwork. The planning application stage is the first point of data collection in the planning system. This submission provides an opportunity to collect valuable data to help inform better policy making, provide a view of development, train our systems to be smarter, and more. We’re rebuilding that entry point. The planning system is hugely complex and our original ambitions for this project have taken a hit, however, it’s a sensible one. Working agile has allowed us to continually review and refine the scope as we have moved through the project, making sure we build the right thing. We quickly realised designing for major applications (more than 10 units) was unrealistic considering the nature of the process. Refining our scope to minor applications allowed us to sharpen our focus. Planning Portal currently lists 26 different form types (many of which are simply variations of the same form for conservation areas). Data told us that ‘householder’ and ‘full planning’ were the most commonly received applications. Considering the complexity and scale of our ambitions (moving to dynamic data collection and form selection) we quickly realised that we needed to narrow it further. Focusing our first prototype on householder only would allow us to test a focused yet common use case before building in further complexity. Knowing we were only going to be able to deliver a small piece of the puzzle, measuring success and setting realistic metrics was important from the start. 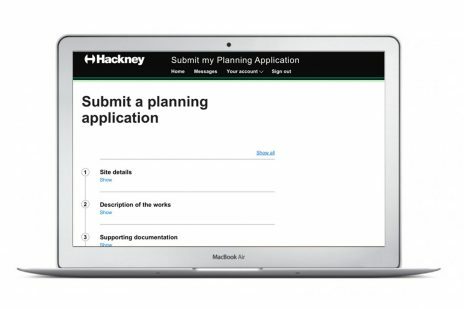 Currently 61% of householder applications submitted to Hackney are invalid*. The primary reasons for this are missing or incomplete documents or a missing fee**. 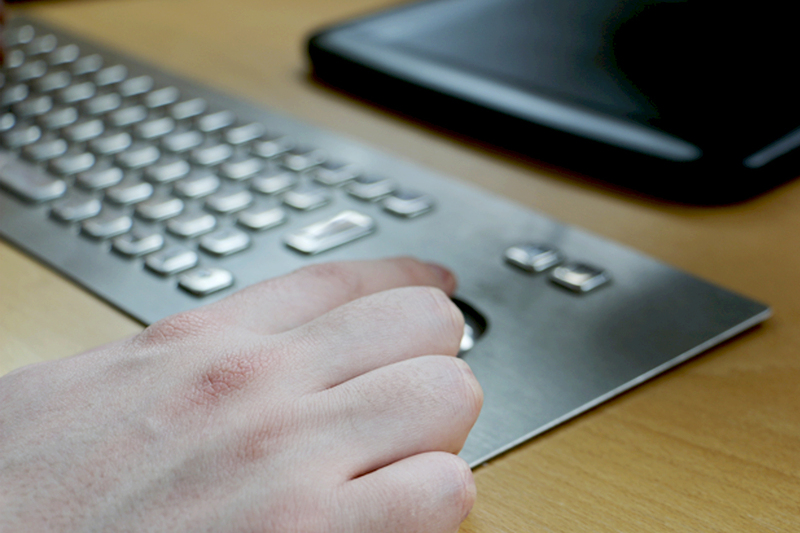 Reducing invalid applications is a measurable and achievable goal that allows us to demonstrate success. Furthermore it will free up time in the Development Management team — reducing the back and forth between planners and applicants. A big part of ensuring applicants submit correct documentation is the provision of an accurate list of requests, at the point of submission. By linking Geographic Information System (GIS) data with the address site of an application we are able to accurately request conservation and listed building assessments, as well as identify the use and property type to inform ‘form’ selection. In addition to this, users can experience a more seamless journey with the ability to search and view their site constraints, planning history, and nearby applications within the same platform that they submit. One big finding from our research was that applicants and planners alike are frustrated with wading through empty space on forms and answering questions that are irrelevant to the application. Imagine if the form only asked you the questions that related to your works. So if you’re adding a dormer window in a conservation area, you don’t get asked how many parking spaces you’re creating. You don’t even have to pick a form type anymore. 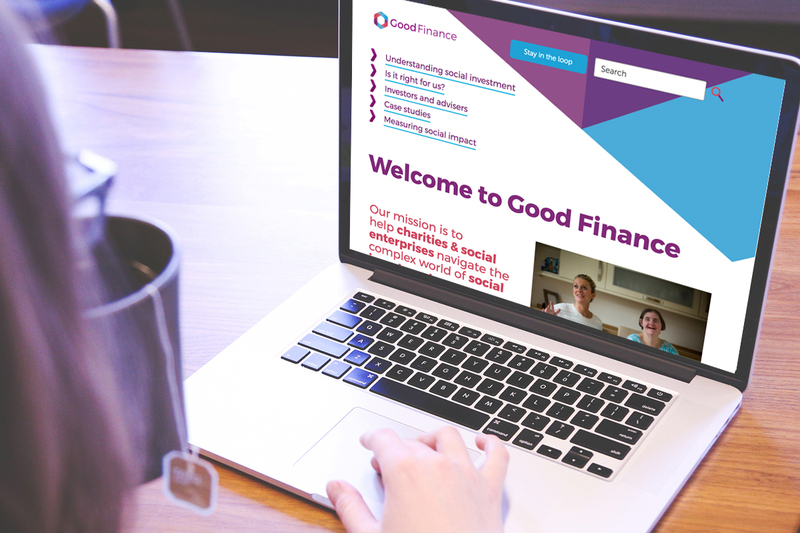 In our new platform, Community Infrastructure Levy (CIL) liability can be automatically calculated through asking for floor area and units upfront so that those who are not liable don’t have to submit an extra, almost empty, form. Equally, we’re interested in asking for new and valuable data in an open format. It’s been important for us to consider what we’re asking for. 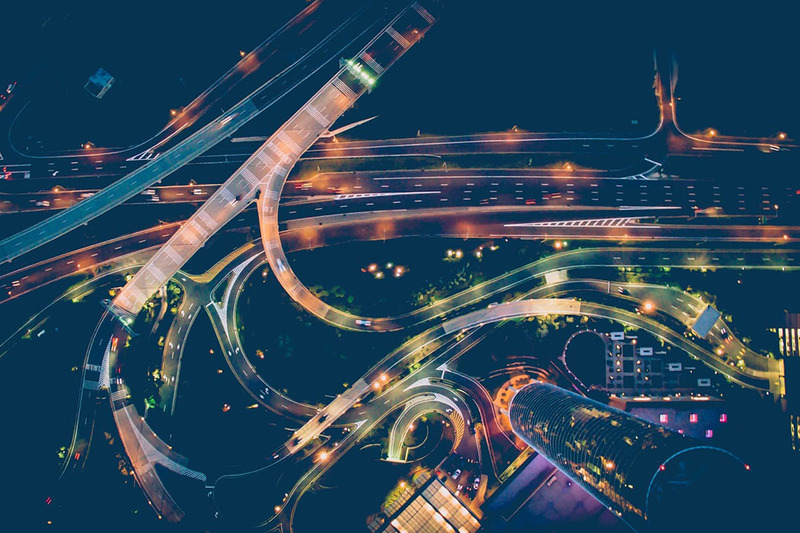 With the Greater London Authority’s (GLA) recent announcement to automate the London Development Database (LDD) data transfer, some of these considerations have been handed to us. 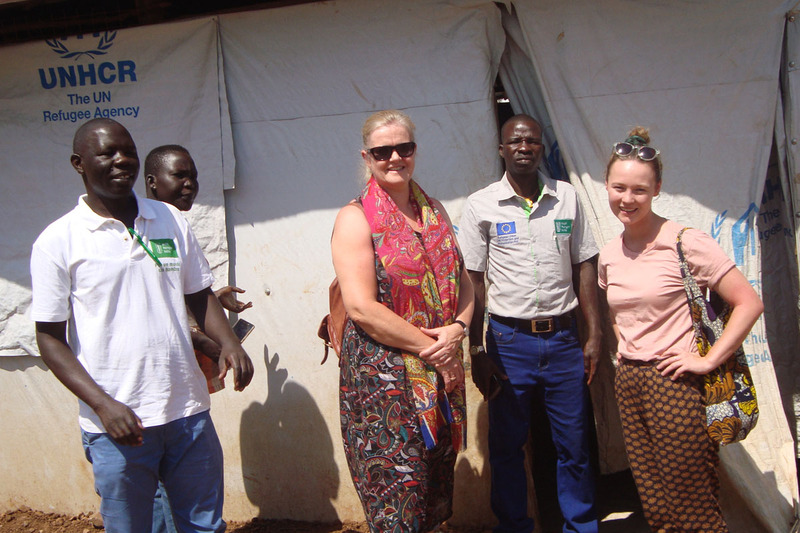 However, we have also worked to understand what new data could be collected to better inform policy making and monitoring as well as useable data we could open up, from previously being locked in PDFs, to potentially build new GIS layers. We’ve taken a Lean UX approach to this project. 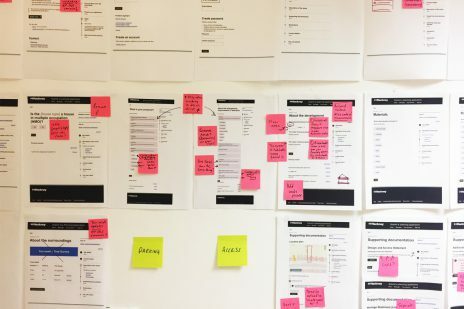 Continuous research and testing with users, planners and subject matter experts has allowed us to refine the service journey and the form logic on an ongoing basis. What we’re proposing is a move from the norm, and a paradigm shift like this can sometimes be difficult to take in. This has called for really open minds during testing to ensure what we’re producing is being tested against user need, not against what came before. We still have another phase of work to come where we’ll build out the end-to-end journey, including on boarding, payment, and submission. We’ll also be building out the back-end and integrating with the various systems so that we can receive actual applications. For now, our code is up on GitHub. In the meantime we’ll be testing, testing, testing. From now until Christmas, we’ll be testing our prototype with applicants (both professional and non-professional) to gain further feedback and ultimately confirm if we’ve built the right thing. At this stage it’s using mock data so to use it you have to pretend you live at either E8 3HW or N16 8ED and be undertaking an extension. Please note it doesn’t save your answers yet so you’ll have to go through all in one go. Also the emphasis is not on copy at this stage so there will be plenty of refinements needed in this space in the next phase. During this period, we’re also keen to showcase what we’ve built to the wider planning community. 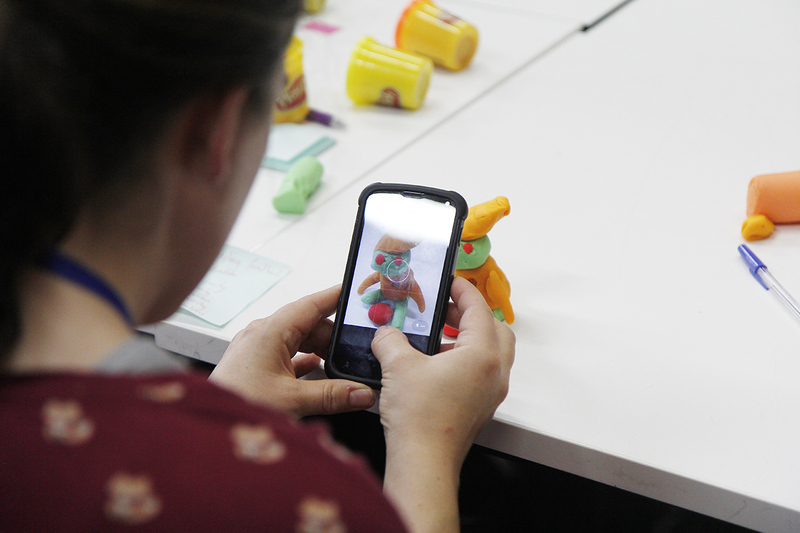 We’ll be holding open show and tell events, watch Snook Twitter of Hackney’s project site for updates. We’re also looking for testers, see the Hackney website for more information. Consistency is a key principle of design, no matter how big or small your solution is. This is a summary of our talk at UX Scotland 2017.